I started dying my hair crazy colours when I was about 14, I’ve been just about every colour going. In April 2013 I decided to stop dying my hair and let the bleach grow out as after years of bleaching, my hair was really showing the damage. I already had super short hair so with regular cuts it didn’t take long to grow out most of the bleach. In December last year I decided to get the remaining lighter parts dyed to match my natural blonde hair. I kept it that colour until June this year. The bleach was fully outgrown and I got so bored of having ‘normal’ hair that I decided to dye it blue.. 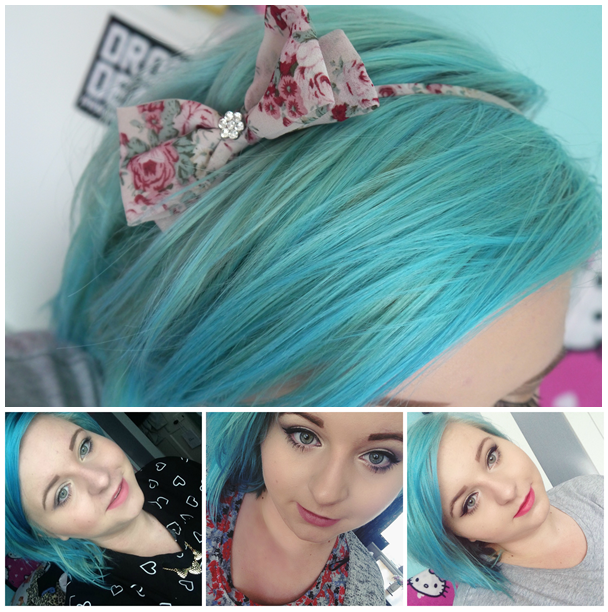 I used Bleach London Washed Up Mermaid which I picked up in Boots. I had a look at all the other colours available but this one stood out to me the most- and the name really drew me in.. who doesn’t want to be a mermaid? 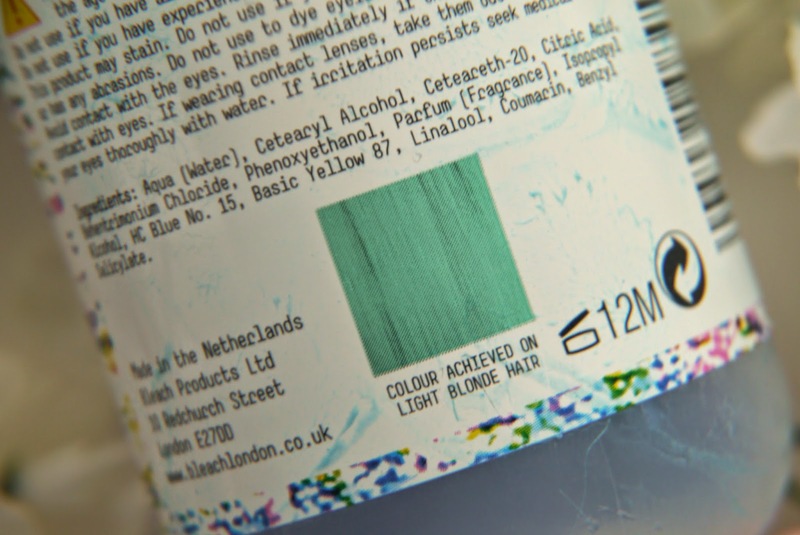 Before applying this I did have to bleach my hair using the Bleach London Total Bleach which bleached my hair to a platinum blonde and then I used Bleach London White Toner Kit to make my hair white so the dye would go on nice and true to colour. I then applied the Washed Up Mermaid dye to my shampooed and towel dried hair which is what you’re told on the bottle. They say to leave the dye on for 15 minutes but I left it on for an hour to really make sure my hair picks up the colour. I then rinsed it out without shampoo, as instructed on the bottle. I was really happy with the final result, it is a lot more blue than shown on the bottle but I prefer it that way. It started off a more turquoise colour, and after every wash fades to a slightly lighter colour. The dye is designed to last 2-10 washes. The larger photo below is after about 3 weeks of every other day washing, so it does have good lasting power. I like that it fades evenly and doesn’t look patchy. I have a short bob and find that I only need just over half a bottle. Sorry for the poor quality instagram selfies, I just wanted to show the dye on my hair, and you can see the slight changes as it fades over time. I’m really happy with this Bleach London dye, and I’ll continue to use this dye to maintain the blue hair, and when I want a change I’ll be sure to try another Bleach London dye. Have you ever had crazy coloured hair?